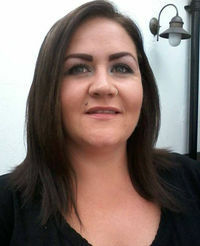 Mandy Lou Dowson was born and raised in a small town in Ireland, in 1983. Family is a huge deal to Mandy. She has three wonderful children, and two dogs – a Siberian Husky who only does what she’s told if there’s something in it for her, and a little white Pomeranian who loves nothing better than to roll in mud, or worse. In her spare time, she likes to relax with a few glasses of wine and some karaoke. She has a keen interest in special effects make-up and is part of a dramatical society which puts on one show and one concert each year. Giving her Guardian the slip has never been a problem for Beth. Even for a wolf, she is wicked fast and almost impossible to track. Then she meets Gareth, her new Guardian. Gareth is ruggedly handsome, unfailingly stubborn, and seems determined to sniff Beth out, no matter where she runs. After a disastrous night of passion with Gareth, Beth has no choice but to put herself forward for mating. Although, it’s not just Gareth that has his eye on this female. 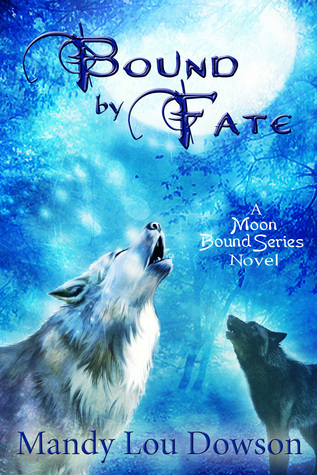 Donovan, a wolf from a neighboring pack , has his own reasons for wanting this she-wolf, and when Beth makes the wrong choice, she finds out exactly what happens when you’re “thrown to the wolves”. Secrets are revealed and choices are made. Will love conquer all, or destroy everything Beth has ever known?